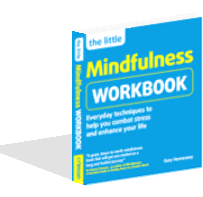 Mindfulness for Stress is a Breathworks course. It is for anyone who wants to reduce stress/anxiety that comes with modern life, to improve stress resilience and give you back control over your life. Since 2001, Breathworks has offered thousands of people living with pain, stress and illness the potential to improve and transform their quality of life. Their research-tested methods are based on key elements of Mindfulness-based Stress Reduction (MBSR), Mindfulness-based Cognitive Therapy (MBCT) and approaches to compassion-based therapies. Breathworks also draws on the personal experience of Vidyamala Burch, who uses mindfulness to manage severe chronic spinal pain. Build an awareness of how your stress manifests itself. Experience physical sensations directly – unmediated by mental and emotional reactions. Develop a new way to relate to stress so that you do not become overwhelmed. Be encouraged to explore a variety of simple practices that will help you to build awareness of how stress manifests itself in your body. Be shown practices that will help you respond not react to situations and thoughts. Be shown how to develop a new way to relate to stress/anxiety so that they do not become overwhelming. As with any new set of skills practice is essential. In order to gain the full benefits of mindfulness we recommend regular daily practice, therefore we will ask you to do two 10-20 minute meditations each day using the guided meditations provided on USB, CD or via dropbox.. Please note this course is not designed for people who are acutely ill or who wish to be passive recipients of support and advice, nor is it a substitute for professional therapy. Please look in Frequently Asked Questions for advice about mindfulness and mental health.